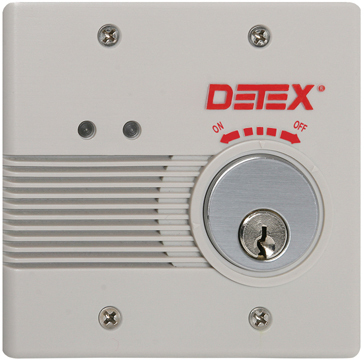 The Detex EAX-2500 is designed for applications requiring a hardwired AC/DC alarm on secure doors. 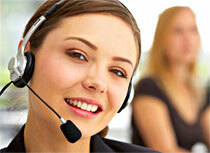 The alarm, with approximately 100dB, will sound if someone who is not authorised tries to exit through it. The EAX-2500, with its smaller size and designed to fit in a standard 4″x4″ outlet box makes it the choice for quick and easy installations on emergency exit and restricted doors. 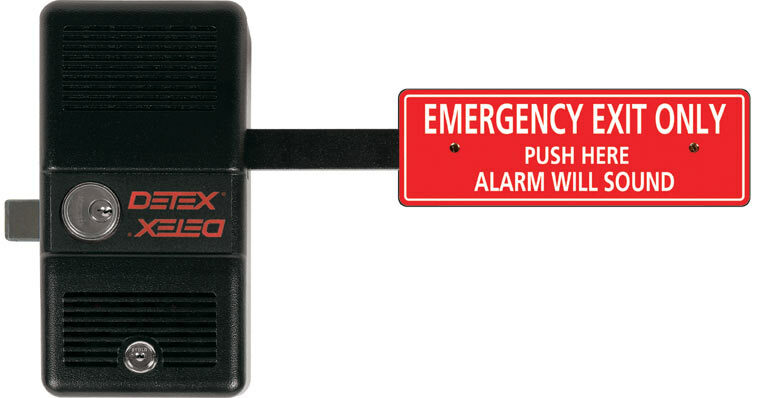 The Detex EAX-500 is designed for applications that require an alarmed exit device on secured doors. 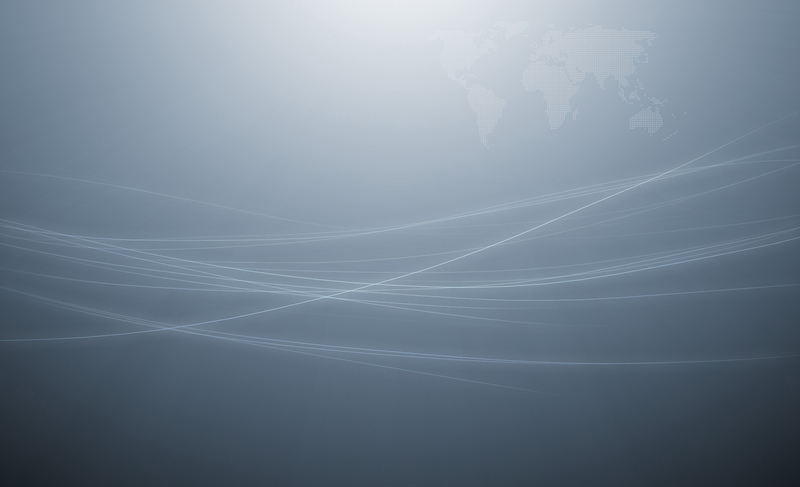 The alarm, with approximately 100dB, will sound if someone not authorized tries to exit through it. The EAX-500, with it’s redesigned shape and smaller size make it the choice for quick and easy installations on emergency exit.